We are located in the Beautiful Lakes Region of NH. We started in 2010 in the garage of my Plumbing & Heating business with a small sample roaster. Learning the art of roasting was certainly a trial and error process. I started selling at a few local farmers and the response we received from our first few customers really inspired us to continue roasting. I began to see the demand for really fresh, locally roasted coffee. From there I started knocking on doors of small country stores and natural food stores along with some local restaurants. We continue to strive to deliver the best, freshest coffee available to our customers. This is why we have created several of our own blends, and purchase specialty coffee from all over the world. If you are in the area please stop by the roasting shop for a look at how coffee is roasted, stored and packaged, the shop is small but we would be happy to show you around. We are members of NH Made, BIBA and the Lakes Region Chamber of Commerce. We support local Charities by donating coffee or setting up a coffee table with the proceeds going to the charity. We support the local economy in any way we can. Take a look around the website, go to our online store and enjoy!! "Life's too short for bad coffee!" 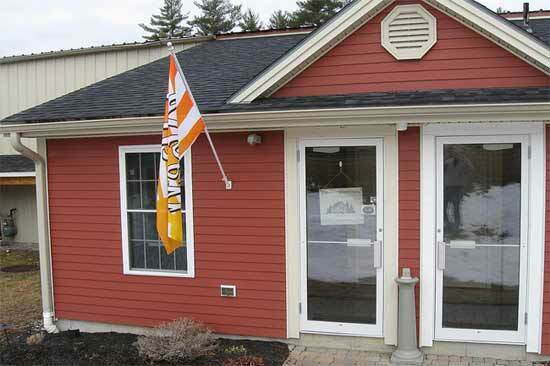 We have a retail store front open Monday through Friday 8:00 a.m. to 12 p.m. 12:30 p.m. to 5 p.m.
116 Hounsell Ave Laconia NH. If you have questions please contact us at sales@woodshedroast.com or 603-737-2000.